Are you Will-ing to do it? 10 reasons to have a simple estate plan in place. Here were are, in mid-February, just over a month into the New Year. Many of us set resolutions and intentions for our physical and mental health. How have we all done so far?? Have we made it to the gym, spent more time with friends and eaten more avocados and leafy greens? (I’m projecting) Have you ever thought about making a resolution for your Financial Health as well? (Strike that – Let’s say intention. Intention is a much less ominous word, am I right?) This might include making a budget, reviewing your investments or seeking some financial advice. It should also include making sure you have a good estate plan in place. Having a simple estate plan is one of the most important things you can do for yourself and your family. If you have one drafted already, congratulations! I now release you go back and think more about those leafy greens. But I might suggest taking a few minutes this month to review it and make sure there are no changes that need to be made. If you do not have this checked off your list already, and you need a little encouragement to get started, read on for the top 10 reasons why everyone should have a simple Will in place and why it’s not too late to consider making it one of your New Year’s Resolutions Intentions. Losing someone we love is never easy. Not wanting to face death as a part of life is often a reason people put off seeing an attorney to draft a Will. But we know all too well that we can lose people unexpectedly or before their time. That is why even at a young age, Wills are a necessity. For most of our clients, this is the hardest decision they need to make, and often the one that most delays the drafting of their Wills. But as impossibly hard as this decision is, it is one that should be made by you and not by the Probate Court. Without a Will, the Court will choose among family members or a state –appointed guardian, and of course there is no guarantee that it will choose a person you would have approved of, someone that lives far away, or someone that does not have a good relationship with your children. 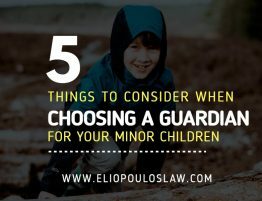 In a Will, you can choose the alternate guardians that you feel are most qualified and appropriate to raise your children in your absence. A Personal Representatives will be appointed and will be in charge of administering your estate and making sure your affairs are in order, all of your directions are followed and all of your assets are distributed in accordance with your wishes as stated in your will. If you do not take the time to nominate this person in a Will, the Court will choose for you based on a hierarchy of next of kin. This person will be responsible or handling all of your assets and someone in whom you should be able to place enormous trust, and this may not be your closest relative. Simply put, with a Will there is typically less paperwork and less filing fees necessary to probate an estate. The default rules of the state do not address your business or your beloved furry family members. Those of us who are entrepreneurs or animal lovers know that these parts of or life are of enormous importance, and the knowledge that the Court may not be able to treat them as such should be a motivator to have some special provisions put in place for them. If you are passionate about a particular charity, your alma mater or a church which your family attends, a Will is a wonderful tool to donate part of your estate to such causes. 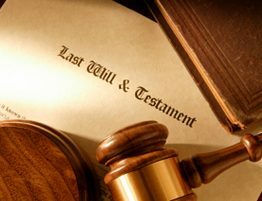 A Personal Representative of an estate must file a bond with the probate court, which essentially is their contractual agreement to the court and to the heirs that they will distribute the estate as directed by the will and not do anything improper. A Surety is a guarantor (for a fee in some cases) to make good on the bond filed by the Personal Representative. Under Massachusetts General Laws, sureties are required unless the estate fits into one of the allowed exceptions. One exception is that they have a Will that waives the requirement of sureties. Every single person’s estate can hugely benefit from having a Will that waives this requirement. A simple estate plan can typically be in place in as few as two meetings, one to gather information and make decisions and one to sign the documents we have prepared. If you have any questions on this, or on any aspect of estate planning, please do not ever hesitate to reach out to Eliopoulos & Eliopoulos. We would love to help you and your family by checking this very important task off of your list.